The biggest difference between the nomad lifestyle and the average American lifestyle is the pace of life. The nomad lifestyle can give you more freedom and time than you ever thought possible. 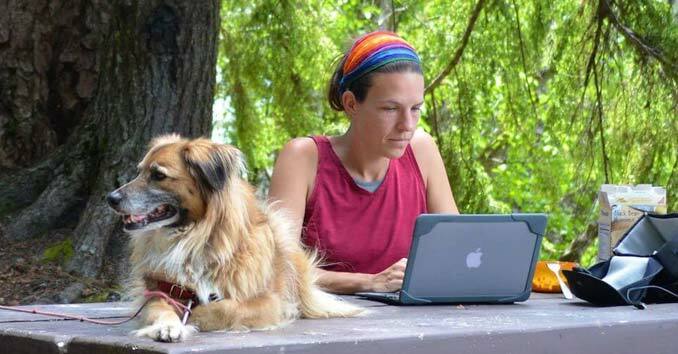 Learn how one couple got more deeply in touch with their own survival and learned to slow WAY down by embracing the boondocking lifestyle. Can you tell us a little about yourself and your RV? Two years ago my partner, Tom, and I decided that we wanted to throw out the rulebook and do something different with our lives. He had recently retired from a 25-year career as a firefighter/paramedic, and I was winding down an animal training career that I had burned out on. We both love the outdoors, and love to camp, so we started to brainstorm how we could do a lot more of that. Eventually, we decided to sell just about everything we owned, and travel North America in an RV! Have you done anything to customize your RV to fit your lifestyle? Our RV is a 1989 Toyota Dolphin. We chose a Toyota Dolphin because they are extremely reliable vehicles, and we were lucky enough to find one with just 30,000 original miles on it! Toyota Motorhomes are an excellent option for RVers on a budget because a decent quality Toyota Motorhome can be purchased for under $10,000. Our Toyota Dolphin didn’t require much customization because it came with all the basics we needed. One big upgrade we made was to install LED light bulbs throughout the coach (they save a TON of power), and we also bought a portable 100-watt solar panel so we could have basic electricity when we boondock (camping off grid in the wilderness). One interesting trend that I’ve noticed when boondocking is that more and more full-time RVers are replacing their RV toilets with composting toilets. This makes waste disposal MUCH easier because you don’t have to deal with finding dump stations to dump your black tank. This is definitely an upgrade we’re considering. How do you power your RV, what do you do for water, heat, and communications? We primarily power our RV using solar power and propane. Our refrigerator runs off of propane, and we always keep an extra container of propane with us, so we never risk running out. Our RV has a propane heater that does require a small amount of electricity to control the thermostat, but our solar panel easily keeps up with all of our power needs. We do not have a television or a microwave; those are two high-powered appliances that would likely be too much for our solar panel to power. If we do want to watch a tv show, we download it to our phone or computer and watch it that way. As far as communications we have an AT&T unlimited cell phone plan that allows us to use our phones in Canada and Mexico without any additional charges. This works well for us since we like to spend our winters in Mexico. In addition to our cell phones, we find local libraries and coffee shops for free wifi on the road. Since I run a travel blog about our travels, it’s important that I find wifi pretty regularly. Can you tell us a little about boondocking and the nomad lifestyle? The biggest difference between the nomad lifestyle and the average American lifestyle is the pace of life. The nomad lifestyle has allowed us to slow WAY down. We are rarely in a rush to do anything because we have nothing but time. We boondock in beautiful wilderness areas where the quiet makes it easy to relax and slow down. Another interesting change that we noticed when we began boondocking was that we know exactly how much we consume. We know how much water and food we need to last us two weeks, we know how much power we use in a day, and we are very aware of how much trash we produce. The nomad lifestyle requires you to get more deeply in touch with your own survival, which has been a wonderful experience for us. When you’re not driving, where you typically stay? We like to stay in each location at least a week. When we move too frequently we get really tired really quickly- driving takes a lot out of you! Also, the more frequently the move, the more expensive your travel will become, so if we find a spot, we enjoy we’ll stay two weeks, sometimes even more. We’ve found beautiful spots in Mexico where we’ve stayed for months at a time (though we do have to make trips to the nearest town to re-supply every two weeks or so). We’ve never had anyone bother us. One way to avoid that is to make sure that you are not camped on private property, and be aware of your surroundings. It’s very rare, but there have been a few occasions where we’ve pulled into an area and gotten a bad feeling about the neighboring campers. In that case, we just move on, you definitely want to trust your gut when you travel! Do you have emergency backup plans? We have savings that we can access if there’s an emergency and we need to get a hotel room or get repairs done. We have yet to encounter weather that required us to leave the RV. We’ve camped in snowstorms, rainstorms, and in some pretty high winds (high winds are definitely the scariest). What kind of tips would you give to someone who is thinking about living Full-time in an RV? Absolutely! Downsizing is absolutely essential to this lifestyle because you can only fit so much stuff into an RV. 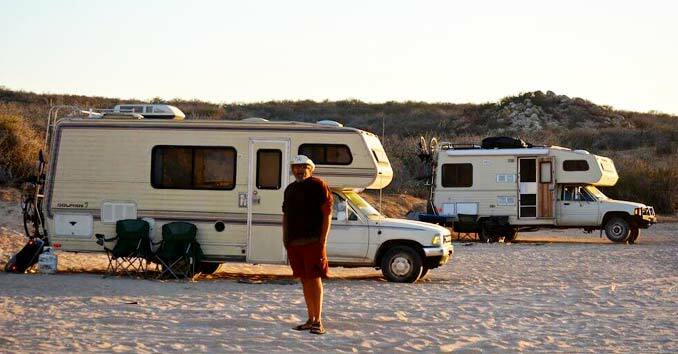 If you’re thinking about traveling full time in an RV, the first thing you should do is begin the downsizing process. The first big thing to consider is what you NEED versus what you WANT. When you really sit down think about it, there are not a lot of material things that we actually need. So, the first thing you should do is figure out how you will meet all of your needs in this lifestyle. Food, water, shelter, and waste management are the big things to consider. Once you have all of your needs covered, think seriously about what you want to get out of this lifestyle. What is motivating you to travel? Is it the freedom to do what you want, when you want? Are you an avid fisherman? Maybe you love to hike, and you want to spend more time close to awesome trails? Once you figure out your primary motivation for switching to the full-time RV lifestyle, you can decide which material items will be important for you to have while you travel. What effect has the mobile lifestyle had on you and your family? My partner, Tom, and I are much closer since switching to the mobile lifestyle. The mobile lifestyle eliminates so much of the stress that we used to suffer in our “regular” lives, and that reduced stress has allowed us to really bond and reconnects with each other. We have met lots of amazing people on the road. Full-time RV travel can be very social if you want it to be. Most travelers are friendly and open to making new friends. We’ve met TONS of interesting people while traveling, and we keep in touch with several of them! What are some of the challenges associated with living in an RV? The biggest challenge for us was figuring out how we could both move around in the RV at the same time. Over time we basically developed a natural movement pattern, almost like a little dance, that allows both of us to move throughout the RV at the same time if we want to. When we have a visitor in the RV, it throws that all off, and we start bumping into each other again! If we were to start over, there are two things I would like to do differently. 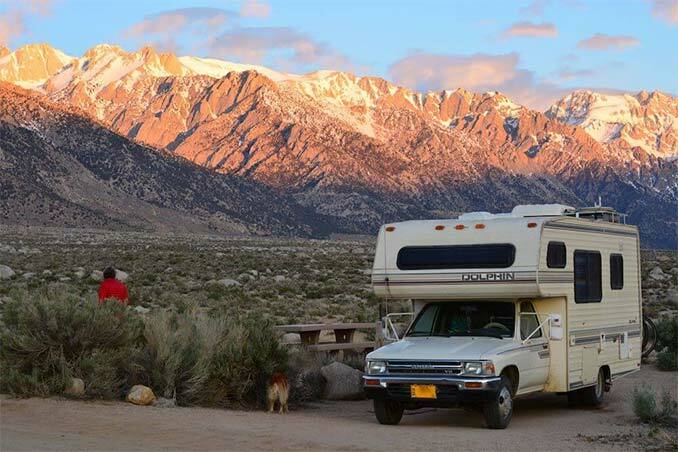 First, I would immediately learn how to find beautiful, free campsites out in the wilderness, rather than relying on RV parks and large campgrounds. 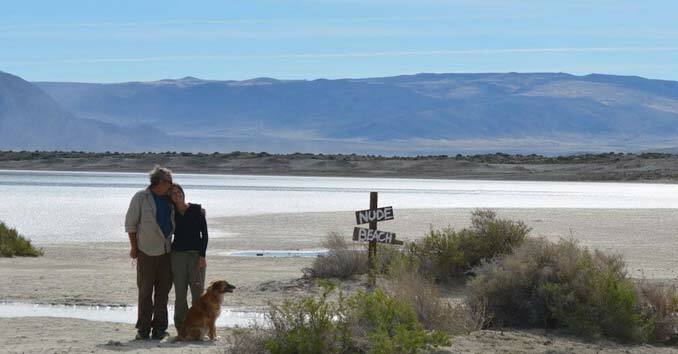 It took us a while to start finding the types of campsites we really enjoy. The second thing I would do differently is I would be sure to find a beautiful spot where we could spend at least a week at the very beginning of our travels. When we first started, we moved from one place to the next quickly, and the truth is that the best part of full time RVing is stopping for a week or two and relaxing. How do you work from the road? Do you have any tips for people who are trying to finance the lifestyle? My partner is a retired fireman/paramedic, so he gets a monthly pension, and I run a travel blog that teaches people how to live the full-time RV lifestyle (check it out at https://www.therollingpack.com). There are lots of ways that people make money for full-time travel. 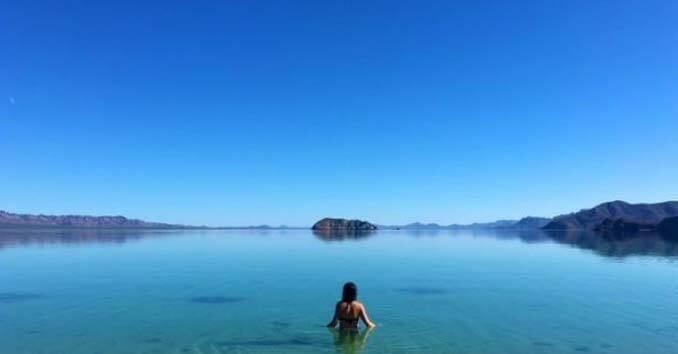 Some people rent their home out and use that income to fund their travels; some people turn their regular job into a remote or freelance position, some people save up a huge chunk of cash to travel on. No matter how you fund this lifestyle, the only way to truly make it work long term is to prioritize your spending. Figure out what is MOST important to you, and then eliminate spending that doesn’t support that goal. For example, Tom and I almost never shop. We only purchase something new if our old version of it has stopped working. The mobile lifestyle is incredible- we have more freedom and time than we ever thought possible! However, this lifestyle does require sacrifices, mostly in the form of material things. Begin downsizing and practicing minimalism in your daily life if you are considering switching to the full-time travel lifestyle. I’m really glad you started this segment on ” Off the Grid, Travel & RV ” to allow some of us insight into this nomadic way of life. It sounds like a great way to see the U.S.A. It gives those of us ideas who may be approaching the time to leave the hectic rat race and retire. First I have to say I really enjoy reading this series. As I read through everyone’s story’s I see a pattern developing. I am curious as to the age range of everyone taking on this endeavor? I ask because I’m thinking it might be a generational thing, but I could be wrong. Some of the younger generations couldn’t handle this life style, letting go everything that makes them tick. #1. Would it be a good idea for someone to start a website dedicated to this life style? Not for stories like this, that’s why people blog about it, no more like a website people could register or share all the locations they have stayed at. Free spots, pay as you go spots, what ever the case. It would have all the important RV’er or boondocker info needed. Location by grid, resupply locations, Cost if required, even type of local predators to be concerned about i.e. bears, mountain lions, raccoons, type of snakes, that sort of thing. I am sure it would snowball into thousands of locations in no time. I know people might not want to give up there favorite secret spots, but it would help your nomad community grow. It might be the only thing stopping some from joining. Even throw in some gun regs by state for traveling armed, might save someone a lot of trouble. #2 Having a location guide like above would help people that want to just try it out to see if they like it. 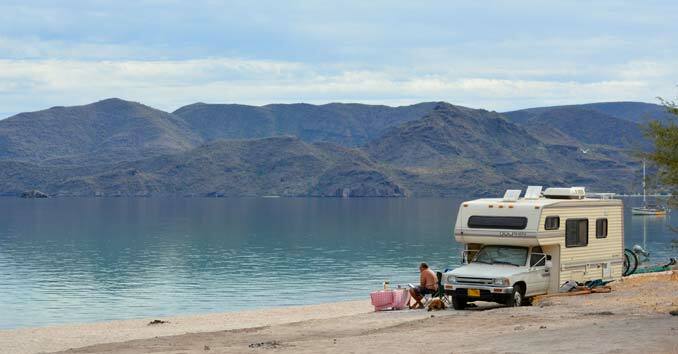 Rent an RV spend a week or two vacation at one of the many locations just to see if they are ready to dive in and join your life style. Not able to be a “full timer” yet. Still have 80 acres that am farming. Do get away several times during the summer and a couple months in the winter. Belong to one of the camping associations, so if stay at an affiliated park it is $10.00 per night. Donot do to much boondocking, tho there is nothing wrong with it. The size of the RV is pretty much a personal choice. Think full timers tend to have a larger vehicle, does not make you fell so cramped up. Have had everything from a eight foot slide in camper on up. Four the past eight years have enjoyed a 41 ft motor home, with four slides. This is the fourth motor home have owned. Not sure could go back to a slide in camper, too old to climb up into a over the cab bed. Would tell folks to do a lot of looking before making a choice if just starting out.